Located in a small neighborhood near Xuoc Du Bridge, Huong Ho Ward, is Tuong Van’s garden-surrounded house whose back has been used as a painting studio for artist Huynh Thi Tuong Van and her husband, artist Nguyen Dang Son. Despite a modest space, the studio is always full of new works in wet paint. Apart from Van’s, there are works by Son and other artists, many of which are just rough paintings. 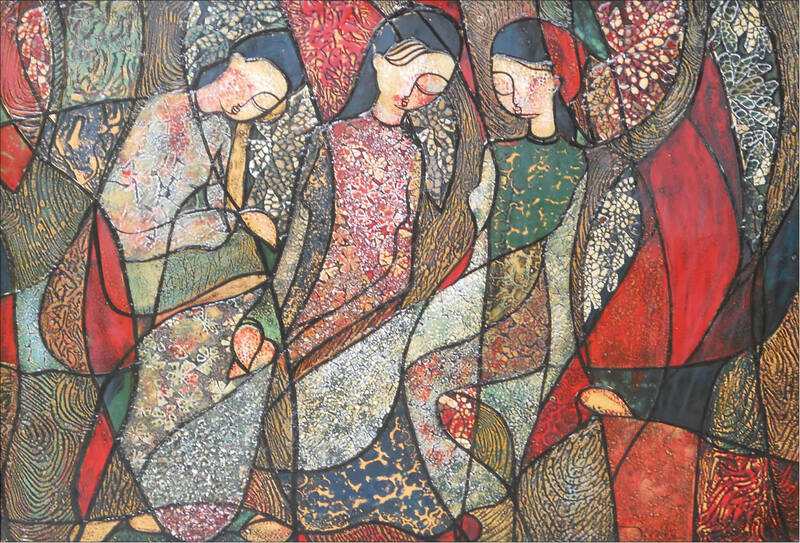 Tuong Van’s paintings featuring tenderness in every detail in shape seem to contrast to Dang Son’s strong, definitive but deep in each detail lie gentle features filled with a nostalgia for his own mother whose perseverance has always been his inspiration. 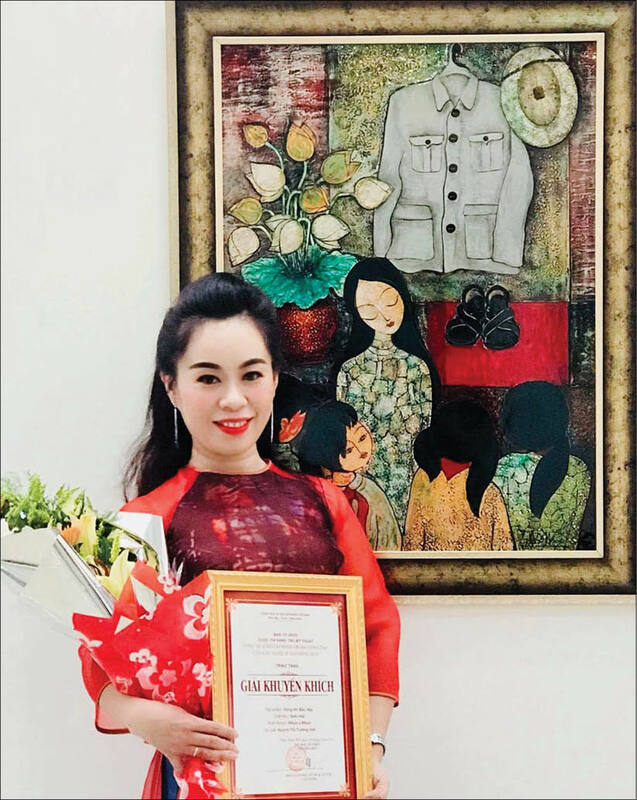 Huynh Thi Tuong Van, a member of Thua Thien Hue Fine Art Association, is currently an art teacher at Le Quang Tien Secondary School, Huong Tra District. Apart from teaching, Van spends most of her time painting. Each work is a story of the past or simply a pre-mature droopiness of a lotus in the heartless intolerance of time. In addition to her strength in lacquer, Tuong Van has had artworks of different materials such as canvas, acrylic and gouache, … each of which features a style of painting of hers. Each of her work is comparable to a peaceful garden full of leaves and flowers, and sometimes a quiet human trace in the slow movement of nostalgia. “It was the nostalgia of the youth full of innocent sentiments as well as aspiration to turn back the memories of a far-off past. 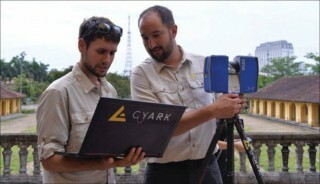 The more I grow now, the more I cherish the youth and the memories of school time,” said Tuong Van. 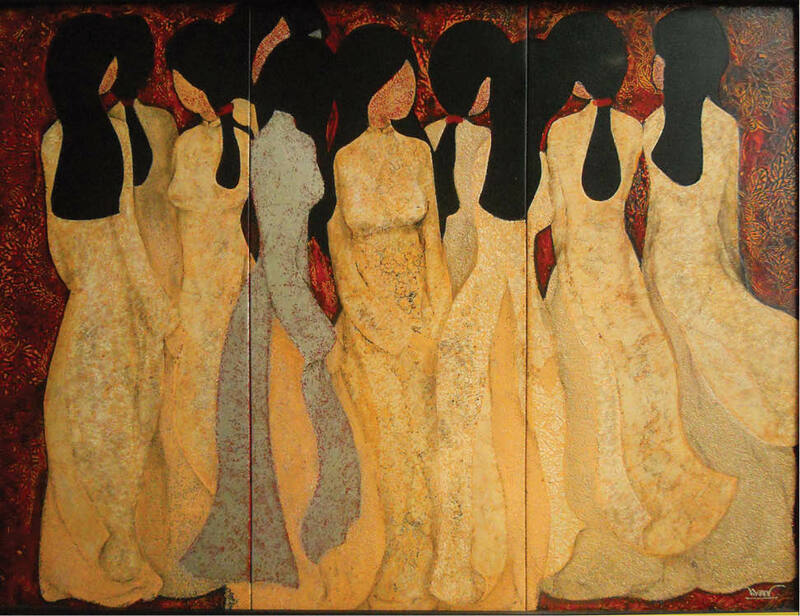 I especially like Van’s paintings of ao dai (Vietnamese traditional costumes) as they manifest the young lady’s half-closed sad eyes to hide shyness and avoid catching the look from beholders. 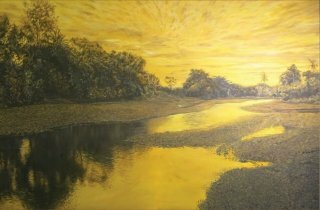 Tuong Van has participated in many exhibitions in Hue and in the northern part of Central Vietnam, held by Thua Thien Hue Fine Art Association and Vietnam Fine Art Association. 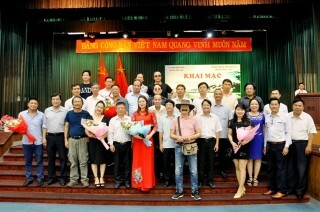 The work “Obedience to Uncle Ho’s teachings” has recently won the consolation prize in the art competition themed “President Ho Chi Minh as reflected in visual art compositions” (co-organized by Thua Thien Hue Department of Culture and Sport, The College of Arts, Hue University and Thua Thien Hue Fine Art Association from 19 May to 20 August 2018). 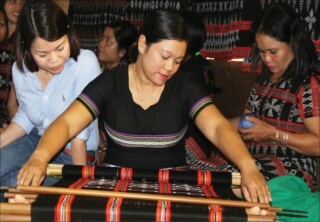 The studio is not a workplace and gallery of paintings by Tuong Van and her husband, it is also a place to exhibit valuable works given to them by other artists in Hue and from other cities and provinces as the studio is the place where Dang Son and Tuong Van have initiated or held several painting camps. The most impressive was the painting camp to commemorate Trinh Cong Son on his 15th death anniversary in late March 2016. 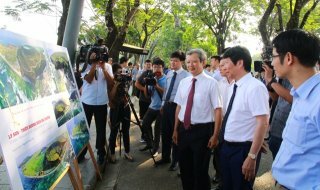 As a result of this painting camp, the artists in cooperation with Song Huong Magazine held an exhibition called Niem (‘Recall’), where 25 paintings on acrylic, lacquers, synthesis and framed pictures by 12 Hue artists were displayed.